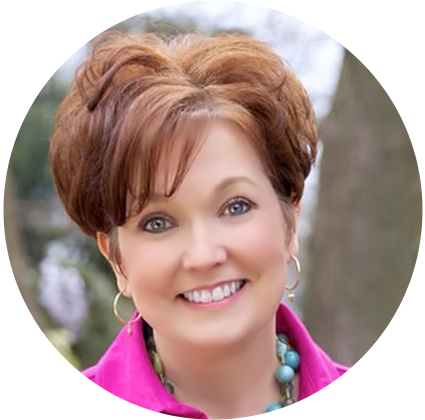 Today I am joining Christina at The DIY Mommy and her YouTube 2019 Organization and DIY Decor Challenge! 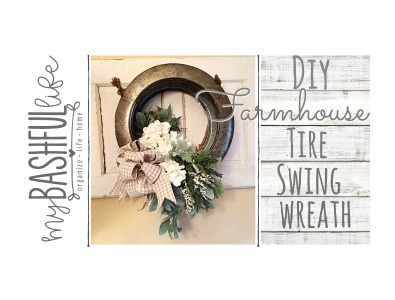 I am sharing this beautiful farmhouse DIY Galvanized Metal Tire Swing! I like to include a large bow on most of the wreaths that I make and for that you will need your ribbon, scissors and some twine. Watch the video below for the full DIY! 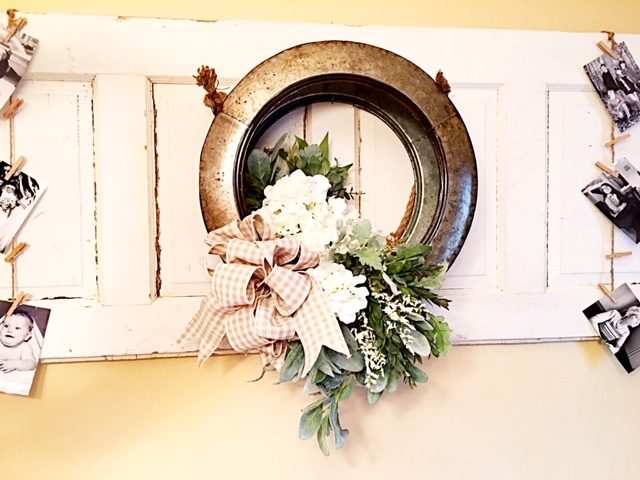 I think this unique wreath looks perfect in our dining room hung on a vintage farmhouse door that I found at my favorite antique store in Lucketts VA. I think the use of the pale green Dusty leaves and white floral’s give this space just the right amount of color that it needs. Thank you so much for watching today If you are visiting from Christina's DIY Mommy Channel I hope you will take a minute to subscribe I would love to have you all back as part of our YouTube family. Click HERE to visit The DIY Mommy's Blog for more creative and beautiful DIYs. So until I see you in the next video I hope that you love the life that you have and I will see you again soon!